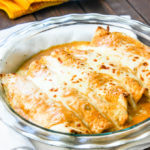 Tuesdays are typically taco nights, but this week I decided to change things up a bit and went for these delicious cheesy salsa Verde chicken enchiladas. If your looking for a delicious quick and easy recipe to spice up your dinner table, this is the recipe for you. 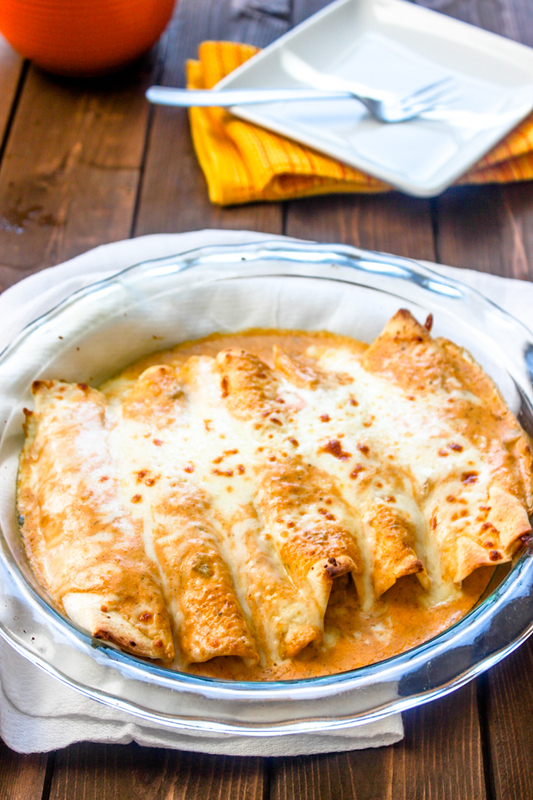 I love making enchiladas because you can prepare them ahead of time, place the whole pan of enchiladas in the fridge or freezer and then pop it in the oven when it’s dinner time. 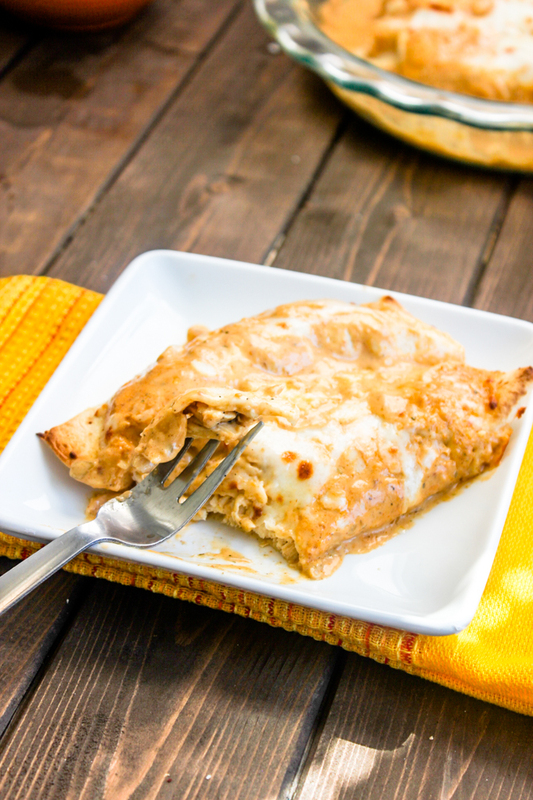 These enchiladas are super quick and easy to make and are packed with layers of flavor; they are made with a mixture of ranch and salsa Verde so they have both a zesty and creamy flavor. I love using salsa Verde because it has an amazing combination of flavor. If you don’t know what salsa Verde is, it’s a green salsa mixture that mostly consists of tomatillos, hot green chilis, chopped onion, and cilantro. There are many international versions of this recipe but today we are using the Mexican canned version. All you’ll need for this quick and easy dinner. Just a few simple ingredients. I used fresh chicken breasts but you can also use leftover or rotisserie chicken instead. For the filling, I grilled the chicken breast in a skillet and then shredded it. It was so good after grilling it I had to hold myself back from eating all of it right there! After shredding the chicken I added 1/2 of the creamy salsa verde mixture to it and rolled the chicken into the tortillas. I baked them for just 15 minutes to melt the cheese because the chicken was already cooked. Preheat the oven to 350 degrees. In a medium bowl, mix 1/2 cup of ranch dressing with the jar of salsa Verde. Spoon a thin layer of salsa verde into the bottom of the dish, set aside. After shredding the chicken, combine the chicken, 1 cup of cheese, and ranch salsa Verde mixture. Spoon about 1/3 cup mixture down the middle of a tortilla. Fold sides over and place seam side down in prepared baking dish. Top with the remaining salsa Verde mixture and 1 cup of cheese. Allow to cook for 15-20 minutes or until the cheese is bubbly and the edges are golden. Can I use salsa instead of salso verde. What would you suggest. I’ve never used salsa instead but the texture will be much thicker. I still think it would tastes good! Man I gotta come visit your house! Taco Tuesdays sound fantastic!! And switching in some enchiladas here and there is never a bad idea. I’m down. When’s dinner?? Haha. 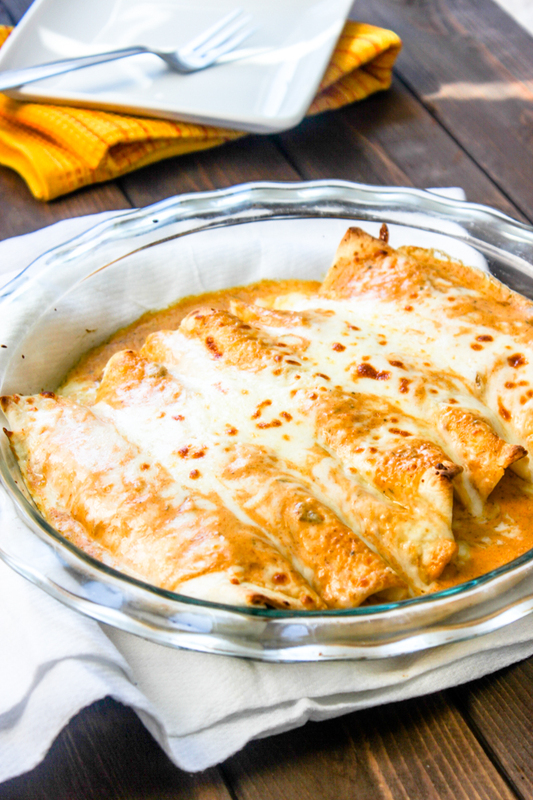 These seem like the perfect enchiladas! 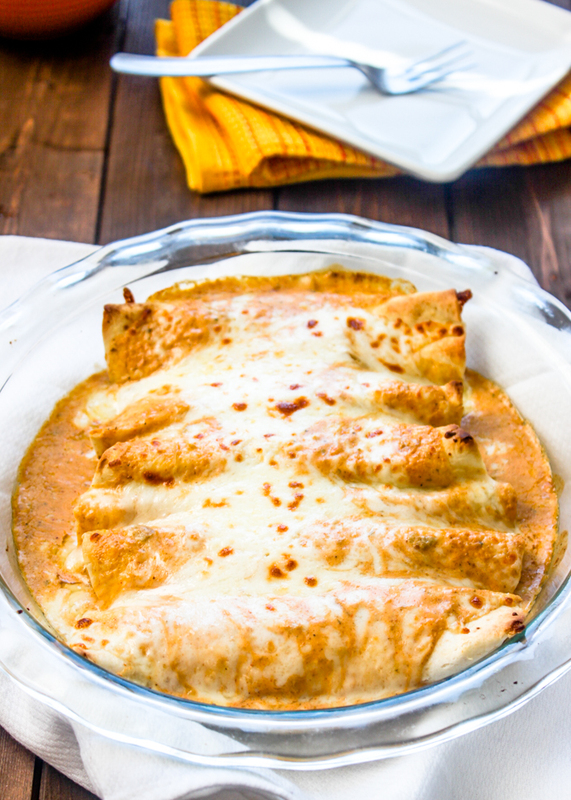 Over here in enchilada-deprived Europe, this recipe looks just perfect as it’s so simple! Thank you, especially for the clear instructions! Going on my ‘easy meals’ pinterest board! Why is this not my dinner? :—(((( Looks SO good! I’m just like you Ashley, I seriously can say no to Mexican food! We just moved into a neighborhood that has a lot of Mexican restaurants (Philly) and I’m enjoying all the new flavors so much. oh my god soooo much cheese! legit drooling over these right now! You know how much I love cheese. I can add it to anything, melt it, and I’m in heaven. Oh my, these look insanely delicious! 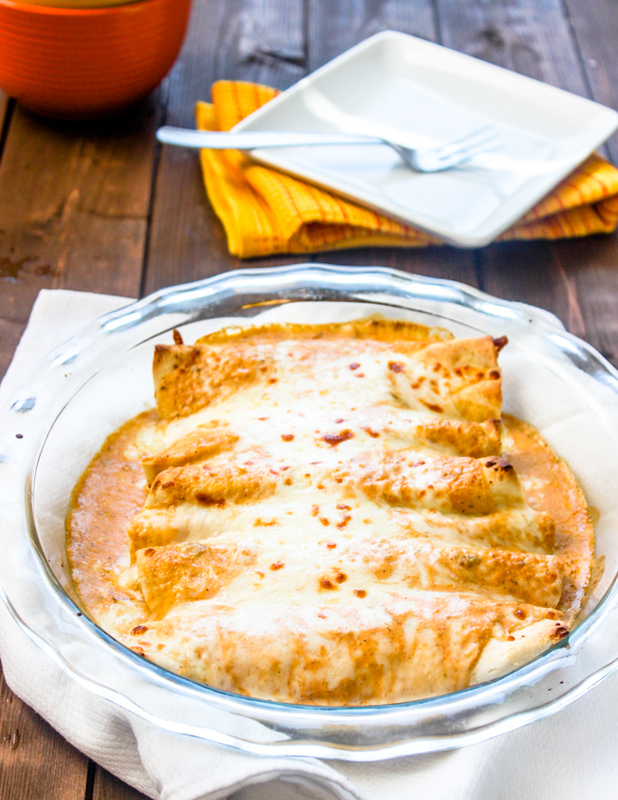 I’m an enchilada freak, and I’m just dying over these! This looks amazing! I love that it’s easy to through together, too! Yes it’s super easy, especially if you are using leftover chicken! Me and mexican food are pretty much best friends. This sounds delicious Layla! Thanks Natalie! Your right, Mexican food is amazing!